La Jolla, CA.----Bay Area home sales held at a six-year high last month as activity rose across the price spectrum, with the $500,000-plus market logging the biggest gains from last year. The trend toward more mid- to high-end deals, coupled with fewer foreclosures re-selling, helped the median sale price rise year-over-year for the second consecutive month, to a 22-month high, a real estate information service reported. A total of 8,810 new and resale houses and condos sold in the nine-county Bay Area last month. That was up 14.8 percent from 7,675 in April, and up 26.1 percent from 6,988 in May last year, according to San Diego-based DataQuick. Last month’s sales were the highest for a May since 2006, when 9,935 homes sold. Since 1988, when DataQuick’s statistics begin, May sales have varied from a low of 6,216 in 2008 to a high of 13,567 in 2004. Last month’s sales were 8.8 percent below the average number sold in May since 1988. 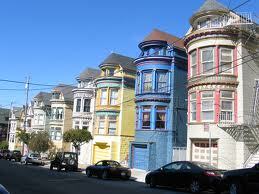 A year earlier, in May 2011, Bay Area sales were about 28 percent below average. The year-over-year jump in home sales last month was most pronounced in the higher price categories. While sales below $300,000 rose 12.5 percent compared with May 2011, sales over $500,000 shot up 23.7 percent. Deals above $800,000 gained 19.1 percent year-over-year. In the $400,000 to $800,000 category, which would include some first-time move-up buyers, sales rose 26.2 percent. Last month 38.5 percent of all sales were for more than $500,000, up from 38.0 percent in April and 37.0 percent in May 2011. May’s level was the highest for any month since August 2010, when 39.2 percent of the homes crossed the $500,000 threshold. “It’s not exactly a stampede, but people are starting to move off the housing market sidelines in numbers we haven’t seen in quite a while. And it’s not just first-time buyers and investors. There are more move-up buyers in mid- to high-end coastal counties. Many have likely concluded that it makes more sense to take advantage of ultra-low mortgage rates and a relatively low price on their next home than to wait for the value of their existing home to return to some lofty level. Of course, for those who don’t have equity in their homes, it could be years before they’re able to make a move,” said John Walsh, DataQuick president. The median price paid for all new and resale houses and condos sold in the Bay Area last month rose to $400,000. That was up 2.6 percent from $390,000 in April, and up 7.5 percent from $372,000 in May 2011. Last month’s year-over-year increase was the second in a row. In April the median rose 8.3 percent from a year earlier. Before that, the median hadn’t risen year-over-year since September 2010. The median’s low point for the current real estate cycle was $290,000 in March 2009. The peak was $665,000 in June/July 2007. Around half of the median’s 56.4 percent peak-to-trough drop was the result of a decline in home values, while the other half reflected a shift in the sales mix. Last month foreclosure resales – homes that had been foreclosed on in the prior 12 months – accounted for 21.9 percent of the resale market. That was the same as in April and down from 26.5 percent a year ago. The April and May level was the lowest since foreclosure resales were 18.8 percent of all resales in January 2008. Foreclosure resales peaked at 52.0 percent of the Bay Area’s resale market in February 2009. The monthly average since 1995 is about 10 percent. Short sales – transactions where the sale price fell short of what was owed on the property – made up an estimated 21.9 percent of Bay Area resales last month. That was up a tad from an estimated 21.7 percent the prior month and down from 18.1 percent a year earlier. Credit remained tight last month in an historical context, though the share of purchase loans that were in the “jumbo” category edged higher. Jumbo loans, mortgages above the old conforming limit of $417,000, accounted for 36.6 percent of last month’s purchase lending, up from 35.7 percent in April, and up from 32.6 percent a year ago. Last month’s percentage was the highest since June 2011, when 36.8 percent of all purchase loans were jumbos. Jumbo usage dropped to 17.1 percent in January 2009. Before the credit crunch struck in August 2007, jumbos accounted for nearly 60 percent of the Bay Area purchase loan market. The share of home purchase loans with adjustable mortgage rates also remains far below normal. Last month 14.2 percent of Bay Area purchase loans were adjustable-rate mortgages, or “ARMs,” down from 14.9 percent in April and down from 16.1 percent in May last year. Since 2000, a monthly average of about 43 percent of purchase loans were ARMs. In the current housing cycle ARMs hit a low of 3.0 percent of purchase loans in January 2009. Investor and cash purchases hovered near record levels last month. Absentee buyers – mostly investors – purchased 24.6 percent of all Bay Area homes sold last month, up from 23.5 percent the prior month and up from 21.4 percent a year ago. The peak for absentee buying was 25.6 percent this February, while the monthly average since 2000 is 14.4 percent. Absentee buyers paid a median $255,000 last month, down from $271,750 the month before and up 3.7 percent from $246,000 a year earlier. Last month’s absentee buyer median was 36.3 percent lower than the region’s $400,000 median for all homes sold in May. Buyers who appear to have paid all cash – meaning no evidence of a corresponding purchase loan was found in the public record – accounted for 28.1 percent of last month's sales. That was down a hair from 28.3 percent in April, and up from 27.4 percent a year earlier. The peak was 31.5 percent this February and the monthly average going back to 1988 is 12.4 percent. Cash buyers paid a median $273,500 last month, up from $269,500 the prior month and up 9.4 percent from $250,000 a year earlier. The median paid by cash buyers last month was 31.6 percent lower than the median paid for all homes. Government-insured FHA home purchase loans, a popular choice among first-time buyers, accounted for 17.2 percent of all Bay Area home purchase mortgages last month, down from 18.3 percent the month before and 21.2 percent a year earlier. Last month’s FHA share was the lowest since August 2008, when it was 14.7 percent. The typical monthly mortgage payment that Bay Area buyers committed themselves to paying last month was $1,491, up from $1,473 in April, and down from $1,533 a year ago. Adjusted for inflation, last month’s payment was 47.0 percent below the typical payment in spring 1989, the peak of the prior real estate cycle. It was 60.8 percent below the current cycle's peak in July 2007.